KEK LOK SI TEMPLE - Kek Lok Si means 'Temple of Supreme Bliss'. 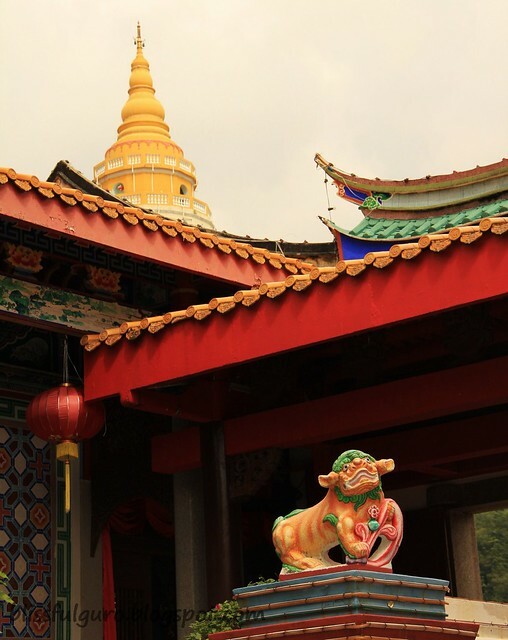 Construction began in 1890, with the completion of its seven-storey handcrafted 'Pagoda of ten Thousand Buddhas' in 1930. 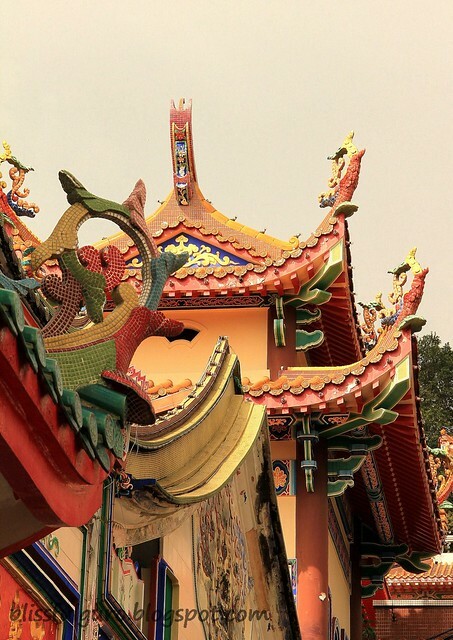 The pagoda is considered one of Penang's most beautiful architectural wonders with its Chinese octagonal base, Thai middle tier and Burnese crown. 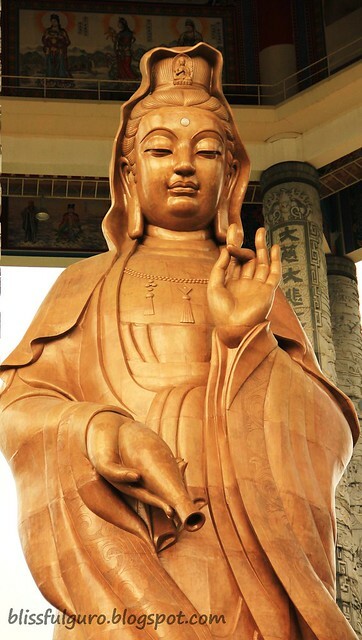 A 30.2 meters Kuan Yin bronze statue was completed in 2002. 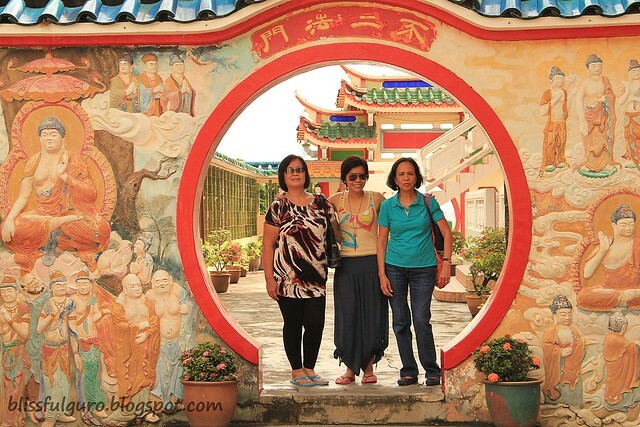 It was a nice Friday morning and I tagged along my mom and aunt to this temple. Good thing my uncle drove us there. One thing I noticed in Penang was that it was 7:00 a.m. when I woke up but it felt like 5:00 a.m. here in the Philippines, no signs of dawn breaking. It was only at around 7:20 a.m. that the sun started to show up. I digress. The construction began in 1890 and up to now, some major constructions are still on its way to this majestic temple. 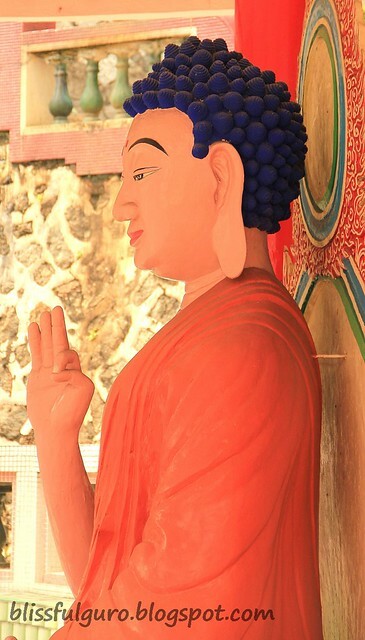 There are no entrance fees here (as any of the temples around Penang) but should you wish to get into the Pagoda of 10,000 buddhas, you have to pay RM 2.00. We went there at around 10:00 a.m. 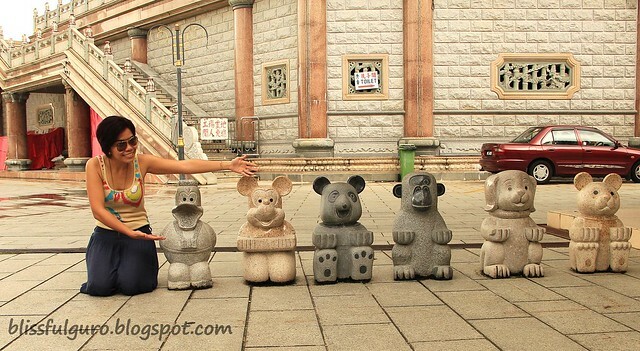 I thought that at that time, tourists and locals were few but I was wrong. 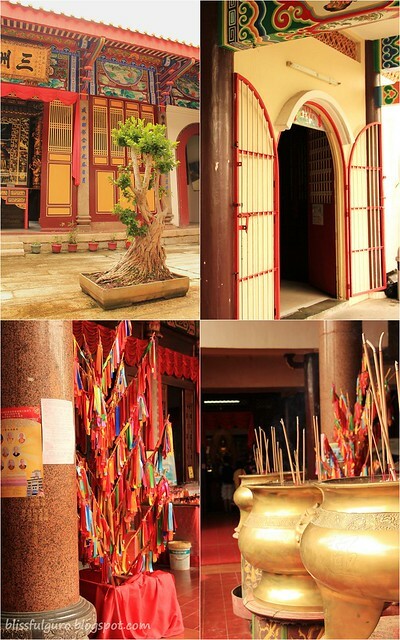 Locals were there early to offer food and joss sticks and also to kneel and pray. While tourists were all around the place. But some said that it was not as busy as it was on a Saturday or a Sunday (check here for discounted tours, transportation and activities in Penang). 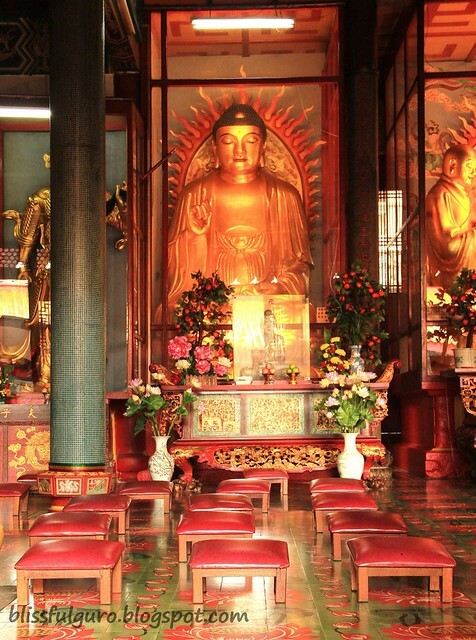 It was a complex of many temples with many buddhas. 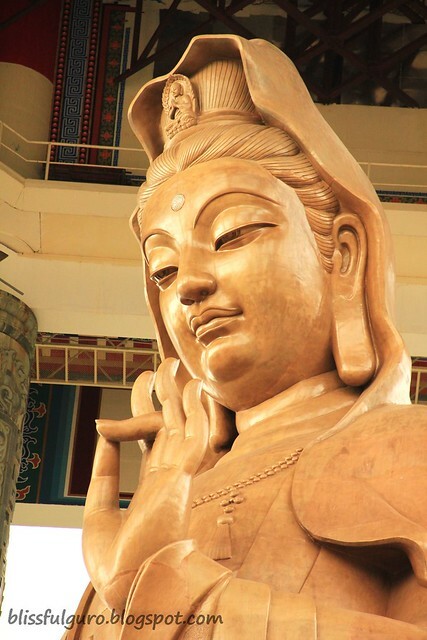 Buddha-overload. There were also some souvenir shops (I saw 3) for a little shopping on the side. 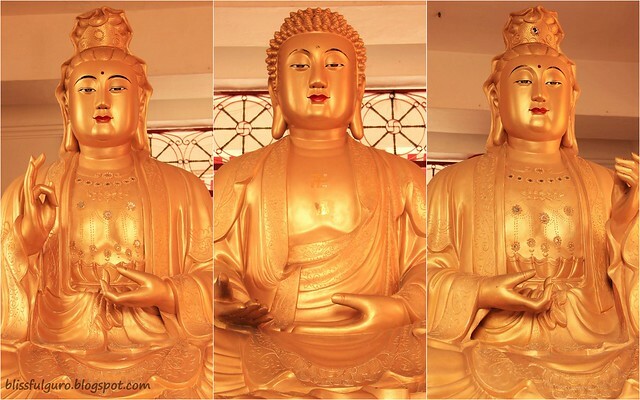 My favorite was the three buddhas because of their eyes - or maybe because my favorite color is gold so I'm just biased. There were so many mini temples inside and my mom asked me, "Di ba 'yung mga buddha eh malaki 'yung tiyan tapos nakangiti? Bakit dito iba?" My mom is so classic! 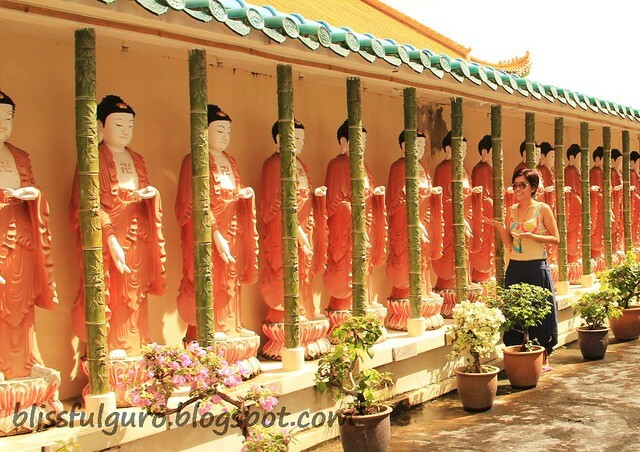 After exploring the lower portion of the temple, we went uphill for the Kuan Yin statue. 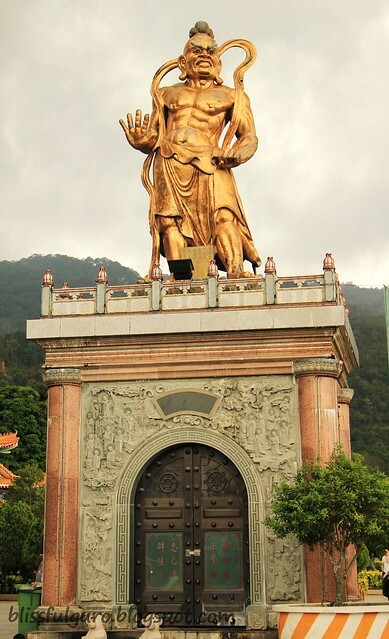 There's an inclined lift (like in Penang Hill - we paid RM 3.60 for the two-way ride) for you to see the statue of Kuan Yin or Goddess of Mercy statue - Mahayana Buddhism. 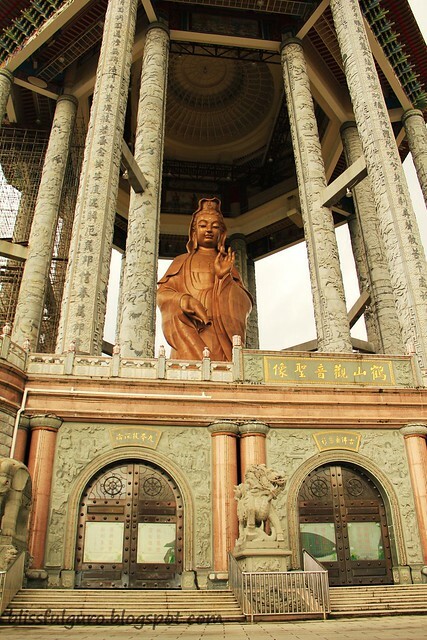 The pavilion is 82.7 meters high with 16 carved pillars around it supporting the roof while the statue is 30.2 meters. It was so huge that your neck will get tired after looking at it for minutes. 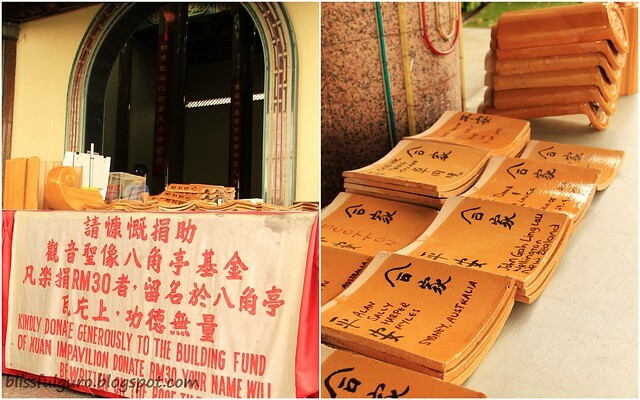 For RM30, you can donate for the building fund and even write your name on one of the roof tiles. 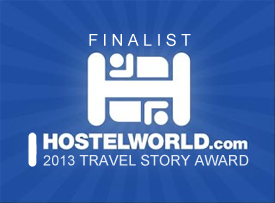 I didn't get to do this 'coz I'm saving all my Ringgits for my solo-roaming-around-penang-trips. 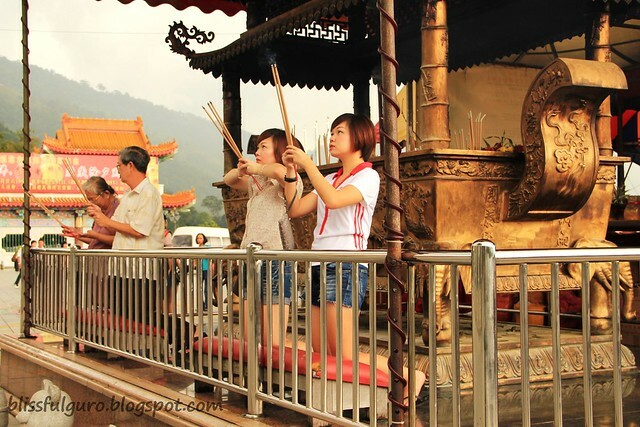 Everything in Kek Lok Si temple speaks of its grandeur and beauty. There's no doubt that I would definitely come back here. It was a fun experience given that I'm with the "oldies". Funny remarks from my mom and aunt with the bloody accent from my uncle was indeed a treasured one for me. ..inalam mo meaning ng hand signs nila? alam ko yung isang pointing down, means earth as witness. yung parang naka-stop means stop war. 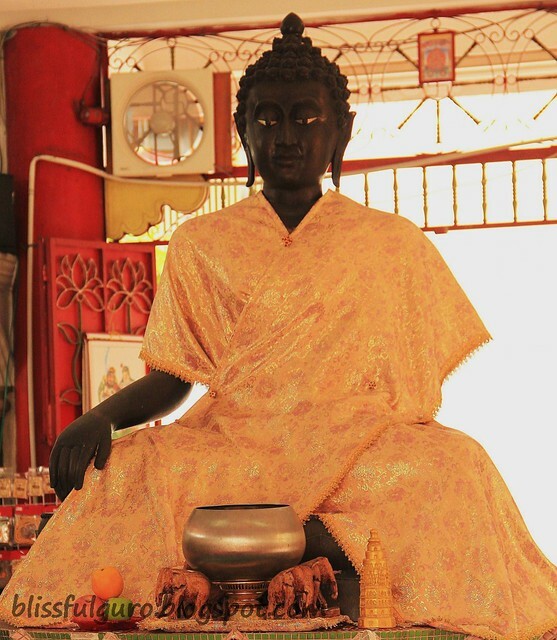 Buddha-overload nga! Yah I 2nd the motion sa outfit mo teh! Pretty! 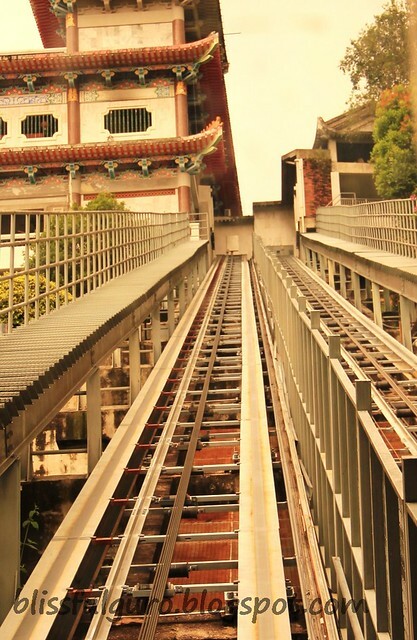 i went to Penang 2009.. i think, this is one of the good places i missed to visit.. punta ka rin mam sa penang hill to see the amazing view of the whole town.. kung matagal ka pa jan, pwede ka pa tawid ng Hatyai, Thailang. hehe. hi gladys! pinili ko na nga lang yang mga yan out of hundreds eh..thanks gladys! Akala ko, kaperahan ibig sabihin nung nka raise ang tatlong daliri. hehe, parang dito sa Pinas. 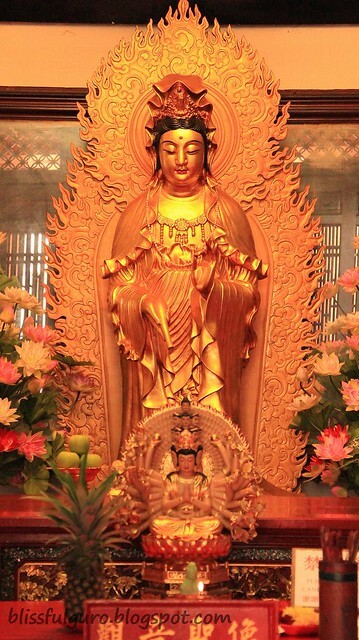 At ang kulit ni mommy mo, tama nga naman, diba lahat ng Buddha, for all we know before is masayahin at chubby. 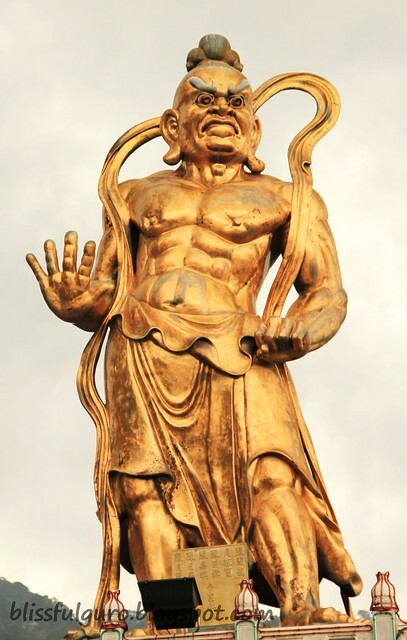 Reputedly, the Kek Lok Si is the largest Buddhist temple in Southeast Asia, you must be proud! 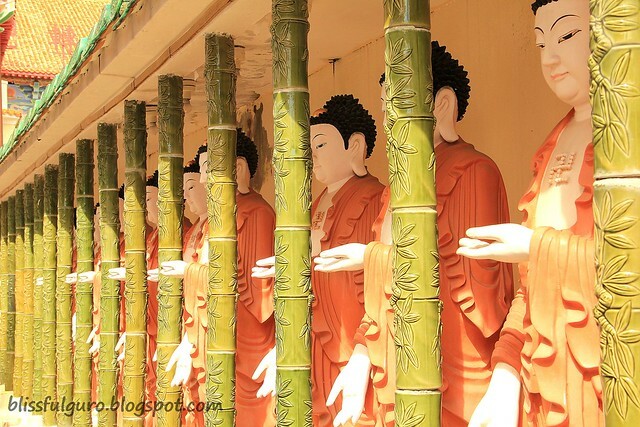 Daming Buddha! korek mitch! isusunod ko borobudur! 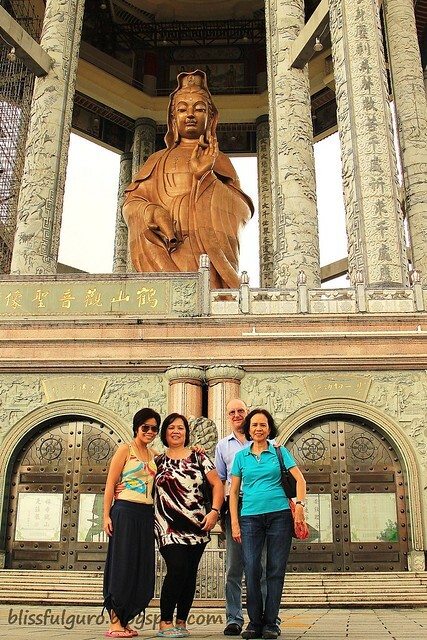 i wish...kinareer daw talaga ang buddhas?! thanks simurgh...andaming mga ganun dun...nakakalat..
beautiful takes on kek lok si, carla! bravo! ang husay! 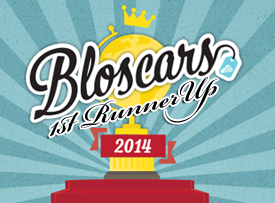 this is what i like about blogging and blog hopping, so inspiring! i went to kek lok si already but sadly my colleagues didn't want to pay (reasonable) fee for that climb to the goddess of mercy statue. 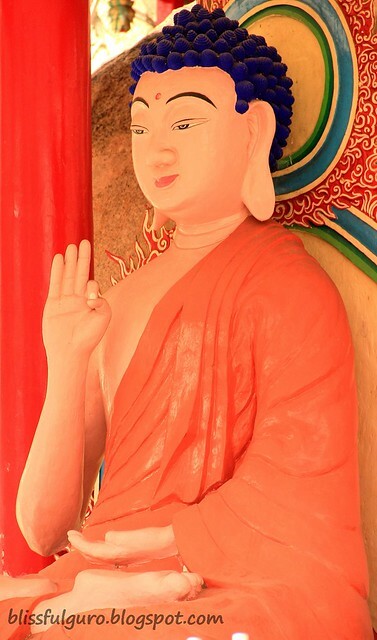 i haven't even explored and admired the 10K buddha pagoda. may nagustuhan din akong laughing buddha sa loob ng main temple (yes, with big tummy and lots of kids around his arms like your mom's description of buddha) kaya lang it's RM 60! *kuripot me* but when i get back there na may budget ng extra, it's a sign that it's for me to bring home. ay naku docgelo, sa dami ng buddha namili na lang ako ng mga ipopost ko, pero nice nga daw dito pag night time...akyat ka pagabalik mo! kami din di nangahas pumasok sa main temple dahil expensive talaga! kuripots?! kaya mo din yan mitch! go go go! eto naman si doc, di naman ako language teacher eh, makikita mo sa pagsusulat ko na may silent war ang grammar at syntax ko..haha..